Feeling kinda ho-humbuggy about your New Years' resolutions? GOOD! We say, "Resolutions Shmezolutions." Instead, let's talk about how you can spark a revolution in your evolution. 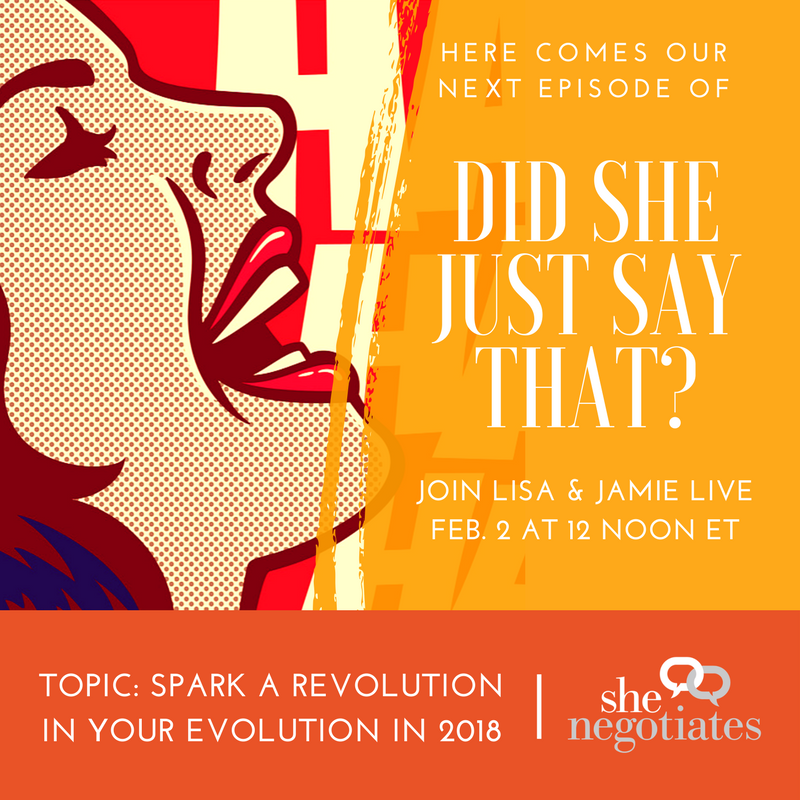 In our next episode of "Did She Just Say That" Jamie and Lisa will engage you in a conversation that will help you bring the future you imagine into your present, everyday, practical reality. FREE. 9 a.m. PT | 12 Noon ET.